Sleep 17, 18, 19 people : villas with pool in Italy. Villa Tenuta Lonciano, near Florence (10km), Tuscany. Private pool. Air conditioning. Ancient monastery dating back to the 13th c. Carefully restored and turned into a beautiful stone country-house situated in quiet and very panoramic location at the foot of Mount Morello. 9 bedrooms. Sleeps 17. Rental prices from Euro 1806 per week. 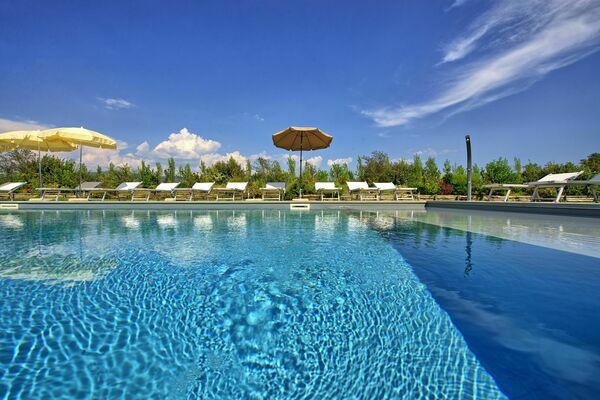 Check prices, availability and book Villa Tenuta Lonciano here. Tenuta Cambiano, near Castelfiorentino, Tuscany. MULTIPLE UNIT PROPERTY: 4 apartments. Sleeps 17. 9 bedrooms. 6 bathrooms. Private pool. The rental is composed of 4 self-contained units which are not internally connected and also offers a beautiful communal living space with a cinema area, pool table, a large fireplace, a small kitchen and a children’s playroom with toys. Fully equipped gym, sauna. Tennis court / football pitch at 50m. Villa Marginone, near Lucca , Tuscany. Private pool. Air conditioning. 7 bedrooms. Sleeps 17. Rental prices from Euro 3535 per week. Check prices, availability and book Villa Marginone here. Villa Casentino, near Arezzo, Tuscany. 7 bedrooms. Independent villa. Sleeps 18. Large common room with kitchen corner for guests to have their meals together. Spacious 8000m2 fenced-in garden. Barbecue and gazebo area for outdoor dining. Private pool with jacuzzi area. Free wi-fi internet. Rental prices from Euro 3787 per week. 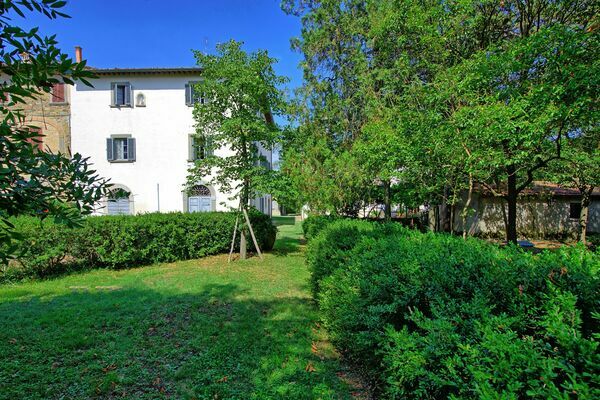 Check interior, prices, availability and book Villa Casentino here. Villa Marika, Pieve a Presciano, Tuscany. 9 bedrooms. Private pool. A great base for exploring the artistic beauty on offer in the region: Arezzo, Siena, Val d’Orcia, the Chianti area, Florence, San Gimignano, Volterra, etc. Rental prices from Euro 2450 per week. Availability. Casale Aiola near Citta di Castello, Tuscany/Umbria borders. 8 bedrooms. Private pool + private children’s pool, private tennis court. Sleeps 15 + 3. Rental prices from Euro 1250 per week. La Quiete near Civitella in Valdichiana, Tuscany. Private pool. 8 bedrooms. Sleeps 16 + 2. Rental prices from Euro 2400 per week. VILLA DE MICHELANGIOLI near Castiglion Fiorentino, Tuscany. 9 bedrooms, 10 bathrooms. Sleeps 18. 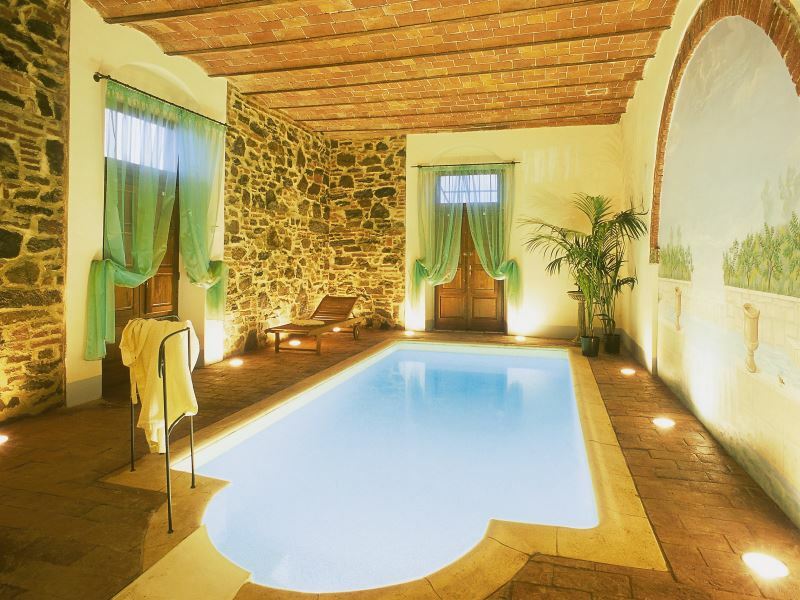 Luxury villa with 2 swimming pools: 1 outdoor private pool plus 1 indoor heated pool and a sauna. Ideal for rentals all year long. Each bedroom has air conditioning, satellite tv, minibar and free wi-fi. Breakfast and dinner on request. Il Frantoio near Florence, Tuscany. Private pool. 8 bedrooms, sleeps 18. Rental prices from Euro 2376 per week. 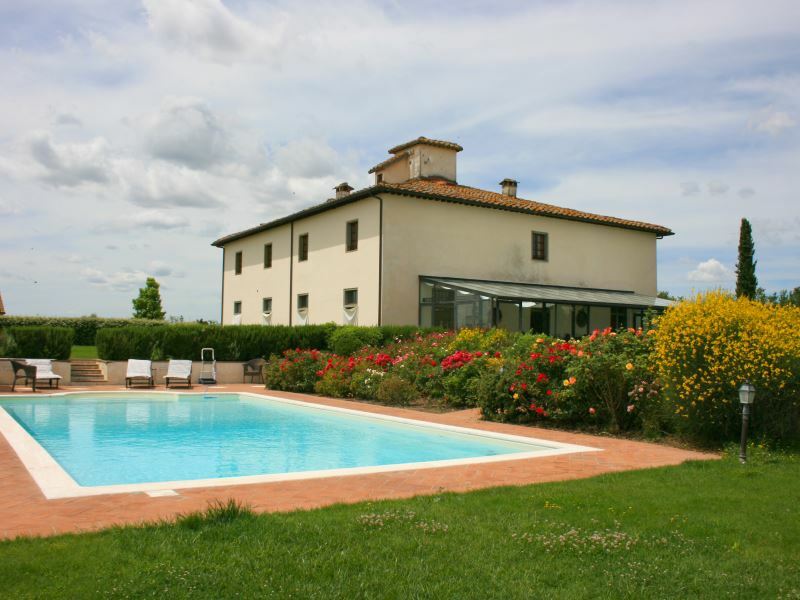 Check prices, availability and book Il Frantoio here. Villa Enea, near Perugia, Umbria. Private pool. 8 bedrooms, sleeps 18. VERY SPACIOUS – 1300m2. Rental prices from Euro 2501 per week. Check prices, availability and book Villa Enea here. Villa Leopoldina, near Bucine, Tuscany. Private pool. 8 bedrooms, sleeps 18. Rental prices from Euro 3355 per week.Check prices, availability and book Villa Leopoldina here. BORGO TOPPO, near Morra, Umbria. Sleeps 19 in 9 bedrooms, 10 bathrooms. Private pool. 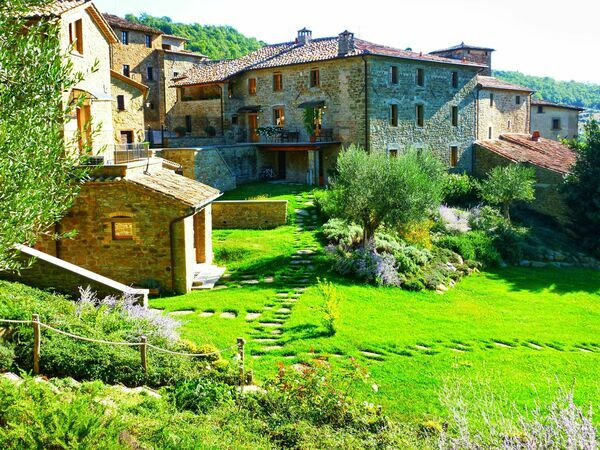 Beautiful hamlet dating back to 1600, in a strategic location on the border of Tuscany and Umbria. 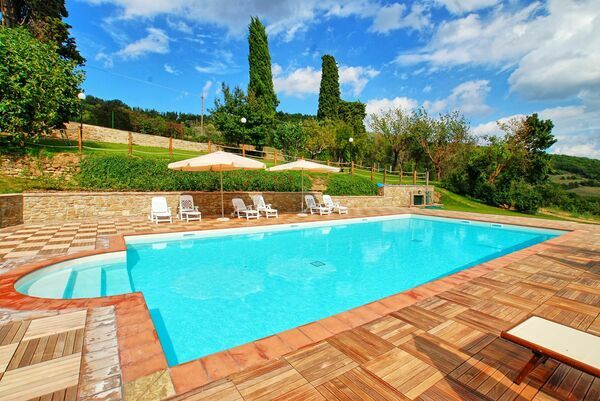 Borgo Toppo is an agriturismo in a 12-hectare park surrounded by olive groves, vineyards and chestnut groves. Le Logge, near Pieve a Presciano, Tuscany. This property is divided into a villa and 4 apartments. Sleep 17, 18, 19 in 9 bedrooms. Swimming pool. Communal area with wifi room. Check prices, availability and book Le Logge here.